The Board of Architectural Review, or BAR, is made up of seven members appointed by the Mayor and approved by the City Commission. The BAR is responsible for selecting the boundaries of the Historic Districts, nominating individual buildings as landmarks, and advising the City Commission, Planning Commission, and other various agencies on matters relating to historic preservation. The BAR’s most significant responsibility is to review and approve all changes or alterations which affect the appearance of any building within a historic district, or to a landmark building. Please review the Maysville Design Review Guidelines below, as they are a reference for proper changes to a historic structure. 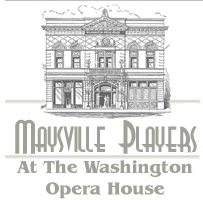 There are two historic districts located in Maysville: The Downtown Maysville Historic District, and Washington Historic District. The BAR meets on the 2nd Wednesday of the month at 5:30 p.m. in the Maysville Municipal Building. A Certificate of Appropriateness application must be filled out, submitted, and approved by the Board of Architectural Review for any proposed changes or alterations to property in a historic district. George Larger is the staff liaison for Maysville/Washington Board of Architectural Review and may be contacted at 606-564-2719 or georgelarger@maysvilleky.net.